Telecom company Bharti Airtel will sell the recently launched Samsung Galaxy Note 9 at its online store. The Samsung Galaxy Note 9's 6 GB RAM and 128 GB storage variants are priced at Rs 67,900. Pre-booking of Samsung Galaxy Note 9 has begun on the Airtel Online Store (www.airtel.in/online store). This flagship handset of Samsung will be able to buy from the Airtel online store on a down payment of less than Rs. 10,000. Galaxy Note 9 can be purchased by paying down to 7,900 rupees. After the down payment of 7,900 rupees, EMI of Rs 2,999 will be paid up to 24 months every month for 24 months. This scheme will come with a postpaid plan. Probably the delivery of Samsung Galaxy Note 9 will begin on August 22. In the built-in postpaid plan, customers will receive 100 GB high-speed data, Unlimited Calling, Amazon prime membership for one year, Free Subscription of Airtel TV and Wink Music every month. Not only this, but the free Airtel device protection package will also be offered. Samsung Note 9's 128 GB variant will be available for sale in the Midnight Black, Ocean Blue and Metal Copper Color Options on the Airtel online store. The Samsung Galaxy Note 9 will have 6.4-inch quad HD + Super AMOLED Infinity Display 2.0 display, which is 1440x2960 pixels. For the first time, such a big display has been given in the Galaxy Note Series. This handset will come with 18.5: 9 aspect ratios. Talk about the camera, the dual-rear camera setup will be available in the Galaxy Note 9. Both the sensors will be of 12 megapixels, which will have a prescription (F / 1.5-F / 2.4). With a rear camera, you will be able to zoom in 2x optical zoom and 10x digital. An 8-megapixel autofocus camera has been given for selfie and video calling, whose incarnation is F / 1.7. First go to www.airtel.in/online store. 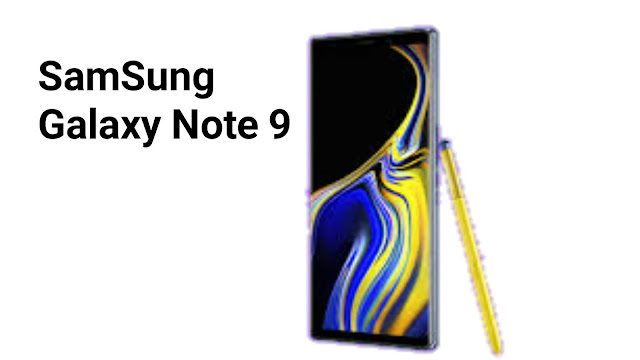 Click on Samsung Galaxy Note 9 in the device list. After examining the eligibility, you will get an instant loan approval, after which you will be able to make a down payment. Delivery will be delivered to the address given during the pre-booking after 22nd August. Airtel postpaid plans will activate automatically on device activation. After that the users will be able to take advantage of high-speed data, unlimited voice calling facility. Samsung Galaxy S9, Samsung Galaxy S8, Samsung Galaxy S8, Samsung Galaxy S8 +, Samsung Galaxy A8 +, Samsung Galaxy C9 Pro, Samsung Galaxy Note 8, iPhone 6, iPhone 6S, iPhone 6s Plus, iPhone 7, iPhone 7 Plus, iPhone 8, iPhone 8 Plus, iPhone X, Apple Watch, Google Pixel, Google Pixel 2, Google Pixel 2 XL, Nokia 8 Sirocco, Nokia 7 Plus and Nokia 6.1. Let us know that all these premium handsets are also available for sale at the Airtel online store.